No life for a lady along the Lambeth shore – the adventures and misadventures of Rachel Charlotte Williams Biggs; an article by Sarah Murden and Joanne Major for Vauxhall History. Authors' blog post as featured in Washington Post article: settling a tied Virginia House race by drawing a name? Not that weird by history's standards. 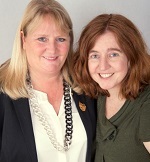 Listen to Sarah and Joanne on BBC Radio Lincoln with Carla Greene! You'll be £19.99 closer to your next £10.00 credit when you purchase A Georgian Heroine. What's this? I found this story very intriguing and written in a style that kept me wanting to know what happened next. If you’re looking for something a little different in the way of biography, then check this one out. I definitely recommend it. Reading the first few pages of this absorbing biography, it is hard to believe that the authors haven't concocted a wild historical spoof, for this truly is an amazing story. Jane Austen's Regency World, May/June 2018 – reviewed by Joceline Bury. It was a fascinating read, bringing to life Rachel Charlotte Williams Briggs and her times. Drawing on several primary sources to delve into the life of this interesting woman, who would undoubtedly be better known if she was a man. The writing flows well and the images used are pertinent. Drawing on extensive research, Major and Murden piece together the particulars of Biggs' life as best they can from personal writing and other archival finds, while being judicious in maintaining skepticism about certain episodes. In an age when society had certain expectations of women Rachel Charlotte Williams Biggs stands out. She emerged from an unhappy marriage to become a playwright and author, a political pamphleteer, and a spy, working for the British Government and later singlehandedly organising George III s jubilee celebrations. Trapped in France during the revolutionary years of 1792-95, she published an anonymous account of her adventures. The extraordinary Mrs Biggs lived life upon her own terms in an age when it was a man’s world, using politicians as her mouthpiece in the Houses of Parliament and corresponding with the greatest men of the day. A few things that I loved about this book was one that it was such a light read but also that it had a fast-paced narrative. Another thing that I loved about this book was learning about Rachel and how fearless and independent that she was even though it was not that common for a woman to be both fearless and independent during the Regency Era. Rachel did so much in her life for example: she was an author, playwright, female politician, a spy and even an inciter of propaganda. Countless times she put her own life at risk and her health to support her own beliefs. It is very clear to see that Rachel was most definitely a Georgian Heroine. 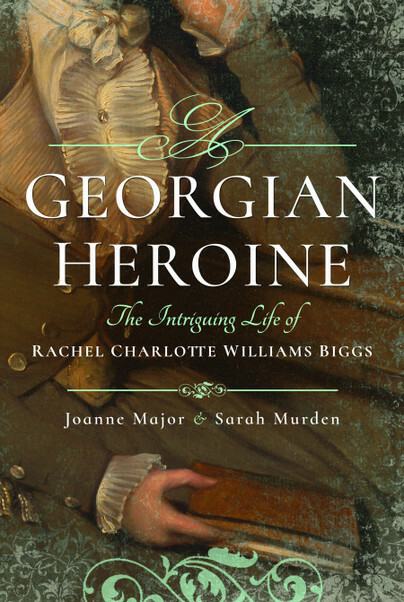 Overall, A Georgian Heroine: The Intriguing Life of Rachel Charlotte Williams Biggs by Joanne Major and Sarah Murden was an extremely fair and balanced account of a truly remarkable and trailblazer Regency woman. A remarkable story, beautifully told. Abducted, raped, an author and playwright, the British heroine of this book was also imprisoned in Paris during the French Revolution, later returning to traverse France as a British government spy ... and the remarkable thing is, it's not fiction, but a meticulously researched and well-referenced biography. You only need a basic understanding of Georgian history to be able to follow the twists and turns of a quite extraordinary - and surprisingly well-connected life. Vanity Fair was satirical fiction. This is the real thing. Enjoy! I could not recommend a more delightful heroine to you than Charlotte. The authors have done a thoroughly researched job of bringing her story to light in a fast-paced narrative. I recommend it! Rachel Charlotte Williams Biggs, or simply Charlotte Biggs, as she is known for most of the book, is something of an enigma. She was clearly a woman who did not fit at all into the 18th century mould. Of middle-class origins, she overcame the early destruction of her reputation to become a self-made woman with the ear of some of the most famous politicians of the era. It makes for a fascinating story, and the tale of Mrs Biggs – if, indeed, she was ever truly 'Mrs Biggs', but that's a story for the book to tell – is closely intertwined with that of revolutionary France and Britain's counter-revolutionary efforts on the other side of the Channel. Like another of Major and Murden's subjects, Grace Dalrymple Elliott, Charlotte Biggs was trapped in France when the revolution reached its most dangerous period. Charlotte escaped, and what she had seen and heard helped form the rest of her life. At times she was a 'female politician', advising MPs on French and British domestic affairs; at others she was a loyalist advocate, single-handedly providing the spur for the jubilee celebrations in 1809 to celebrate George III's fifty years on the throne. She was probably a spy, returning to France after the fall of Napoleon to report home on continental attitudes and goings-on. This book is the result of what must have been a tremendous amount of detective work. Charlotte is often allowed to tell her story in her own words, and the authors make no attempt to conceal the ambiguity of some aspects of it. Given that what remains is only a partial record, often written for audiences from whom Charlotte had motives to hide the whole truth, she is difficult to pin down on the page, but the end product is a very fair and balanced portrait of one of the Regency era's most remarkable – and most unknown – women. ★★★★ The authors have pieced together a great amount of detail from Charlotte’s life.